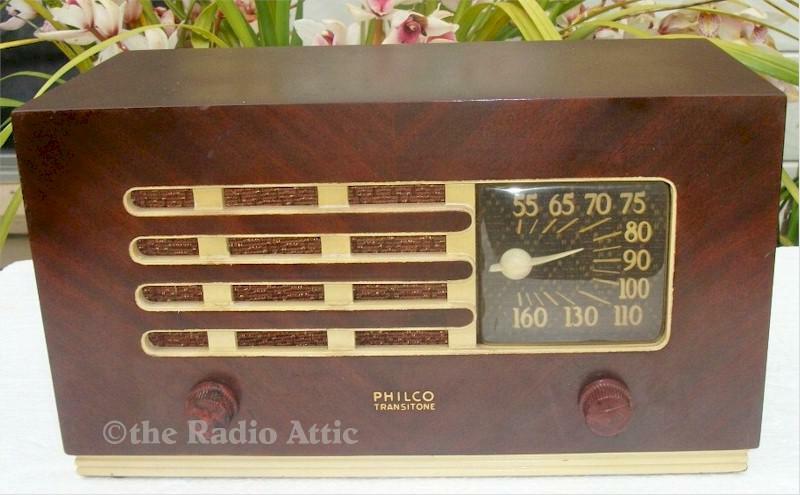 Here I have a very sharp looking Philco "Transitone" five-tube AM radio. It has been fully restored replacing all older capacitors and electrolytics; tubes have all been checked and weak or bad tubes have been replaced with either new or test like new tubes. This is a very nice performing set with clear tone bringing in many stations all around the dial. The nice looking solid wood case is in good condition as well. 13-1/4"W x 7-1/2"H x 6-1/2"D.
You are visitor number 1,042 to this page.